Virbhadra Singh averred that he is confident about the Congress party winning the Assembly elections with majority. 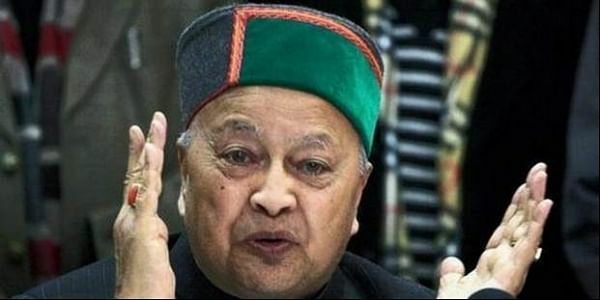 SHIMLA: With the exit polls predicting defeat for the Congress Party, Himachal Pradesh Chief Minister Virbhadra Singh today quashed the forecast, calling it "bogus". While speaking to media, Virbhadra Singh said, "Exit polls are bogus, manipulated and not based on facts. I have visited corners of Himachal Pradesh and most people are in favour of Congress. I am confident that Congress will win with majority." He had further averred that he is confident about the Congress party winning the Assembly elections with majority. Earlier on Thursday, the exit polls had suggested a change of political guard in favour of the Bharatiya Janata Party in Himachal Pradesh. An aggregate of six exit polls by the media houses, including Zee News-Axis, Aaj Tak, News Nation, News X, Samay CNX and Times Now-VMR showed the BJP winning elections in the hill state. Polls in the state were held on November 9 and the counting will be held on December 18. As per the Election Commission, the state recorded 74 percent voting. The Congress party is currently in power in hill state and the BJP is aiming to return to power after a gap of five years.